Earlier this month, the Bureau of Labor Statistics reported that average hourly earnings increased in January by 2.9 percent compared with a year ago. This was a big splash of economic news that had ripple effects on the housing market, as the 2.9 percent increase in wages surpassed expectations. Rising wages mean home buyers can borrow more. 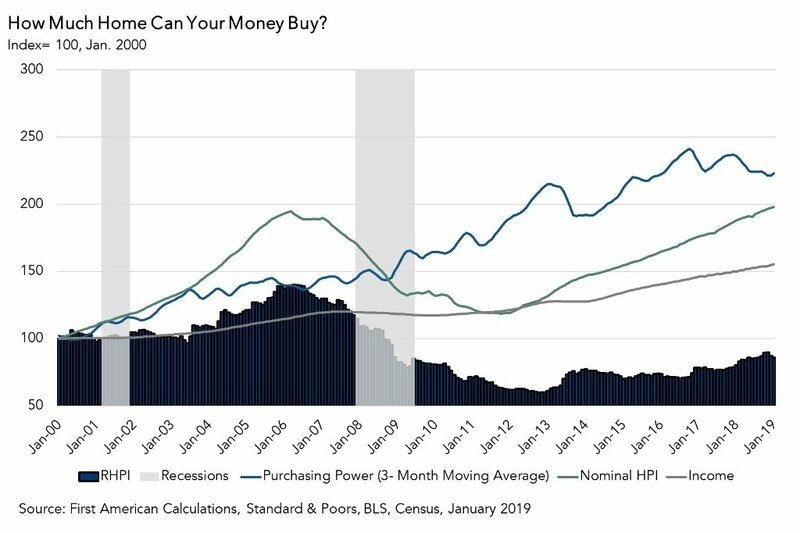 In other words, consumer house-buying power -- how much one can buy based on changes in income and interest rates -- is growing, which is a boon to the housing market. However, the larger than expected increase in wage growth set off a chain reaction. It increased concerns among investors that inflation will rise and the Federal Reserve will increase rates at a faster pace than previously expected. Consequently, the 30-year, fixed-rate mortgage rate increased to 4.4 percent last week. The consensus among economists is that 30-year, fixed-rate mortgage rates will approach 5 percent by the end of the year. Rising interest rates increase borrowing costs for home buyers, thereby decreasing consumer house-buying power. So, on the one hand, rising mortgage rates reduce the affordability of housing, as the cost of borrowing increases. But, on the other hand, rates are increasing because wages are rising faster than expected. 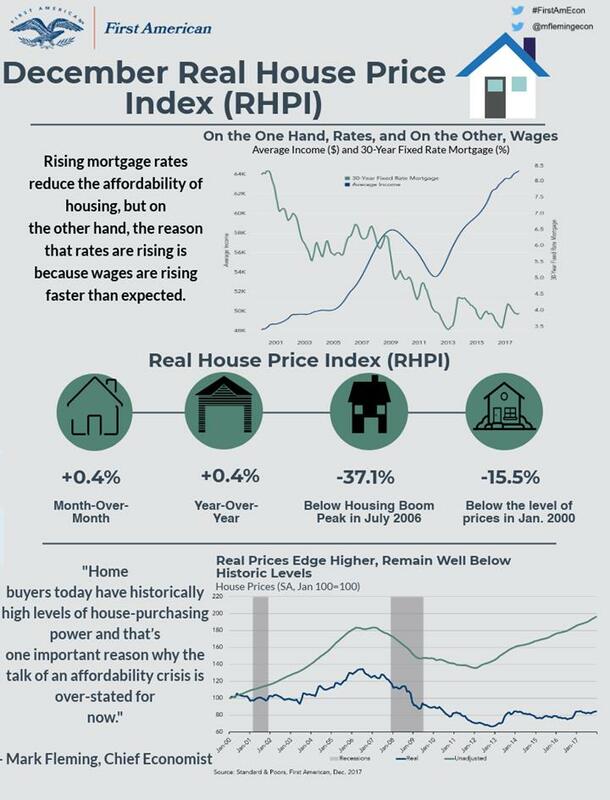 Wage growth simultaneously helped and hurt housing affordability. However, rising household income has largely offset the increase in borrowing costs brought about by higher interest rates in the past year. 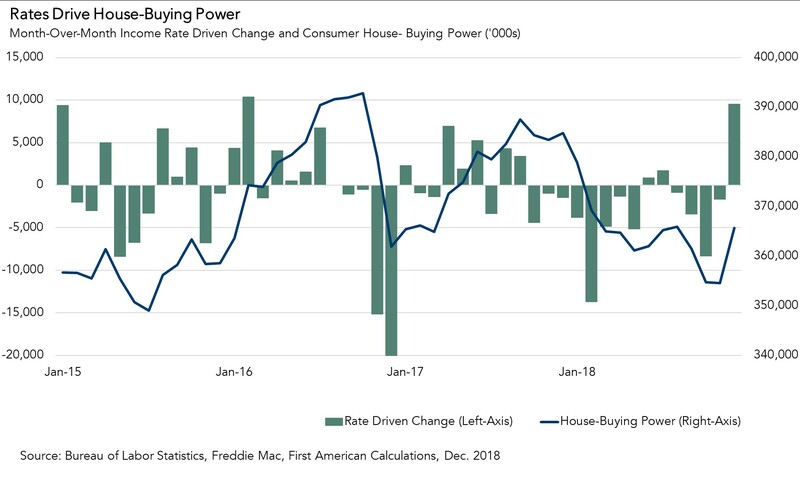 In December, consumer house-buying power was up 5.6 percent compared with a year before, even though mortgage rates increased in 2017. Household income varies substantially by housing market, so comparing house-buying power with house prices by market can provide perspective on housing affordability. In the figure below, home buyers in markets below the line have house-buying power that is greater than the average house price in their market – houses are relatively more affordable in these markets. Home buyers in markets above the line have house-buying power that is less than the average house price in their market – houses are relatively less affordable in these markets. It’s no surprise that house prices exceed house-buying power in markets like San Francisco, New York and Los Angeles. 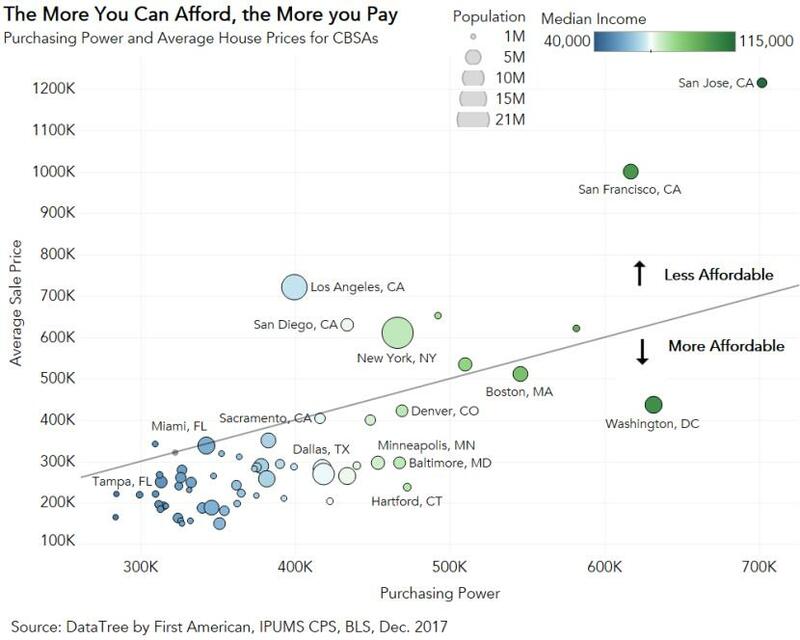 Yet, housing markets generally considered expensive, like Washington, D.C., Boston and Denver, are actually more affordable than many believe. The fact is most of the markets we monitor in our Real House Price Index (RHPI) have more than enough house-buying power when compared to the average house prices in the market. It’s important to remember that rising mortgage rates are often the result of positive economic conditions, like rising incomes and strong economic performance. In 2018, home buyers may have to take the good, wage growth, with the bad, rising mortgage rates. The RHPI is updated monthly with new data. Look for the next edition of the RHPI the week of March 26, 2018.